Stuck in your search for a new project? Let your intuition guide you and choose your favorite image from each color – we’ll tell you what you should crochet next! You love warm, soft things and wrapping up at home with a cup of tea or hot chocolate! Get comfy with your new project, maybe you can find the perfect pattern in our huge range of blankets! Are you cold? Your next project should definitely be a warm hat! Crochet one for this winter, or next – either way, knitting a slouchy beanie or bobble hat is always a good idea! If you’re in need of a hug, a new sweater might just be the perfect new project for you! Oversized and comfy, or stylish in a modern design – you can’t go wrong with a lovely sweater to keep you warm. Take some inspiration from our pattern range! Always out and about? You could use a new stylish accessory! 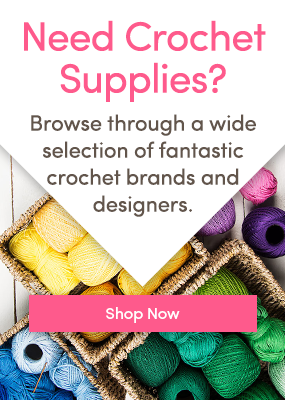 You can safely store everything you need in a cute crocheted bag and it’s also a perfect addition to your outfit – a must-have for every busy bee! Warmer days will come! And with them, the time for light shawls that keep you warm on mild spring evenings by the campfire, on picnics in the park, or by the windy seaside. If you can’t wait – take a look at our beautiful shawl patterns! Socks are comfortable, useful, and a classic knit! Make your next favorite pair for yourself or as a gift – socks will never go out of style! Crocheting for kids is always a great idea! Toys or hats are a classic gift, but nothing is cuter than a perfect pair of newborn booties. We’re sure you already have the perfect recipient in mind! Take a look at our cute bootie patterns that are sure to make both parents and babies happy. What will your next project be? Tell us in the comments below! Quiz Time! Bet we can guess who taught you to crochet! Quiz Time! Which Breed of Sheep is Your Spirit Animal? What Will Santa Bring You for Christmas? Quiz Time! How Prepared are you for Christmas? One Response to This Color Quiz Will Determine Your Next Project! Something’s not working here. No pictures show up for me under Red, White, and Black.